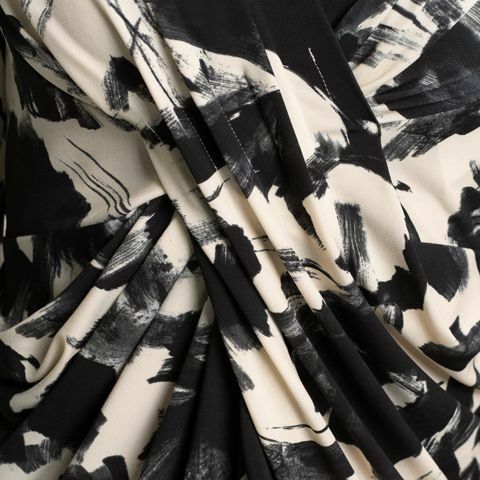 Be inspired by our abstract brushwork floral print in rich black and contrasting off-white, a great match for our dramatic and elegant Venus drape dress. Pair with a white kay me suit jacket or Japan-made knitwear for any occasion. Soft and stretchy, machine washable and drip-dry, kay me fabrics are specially chosen to support your busy life. 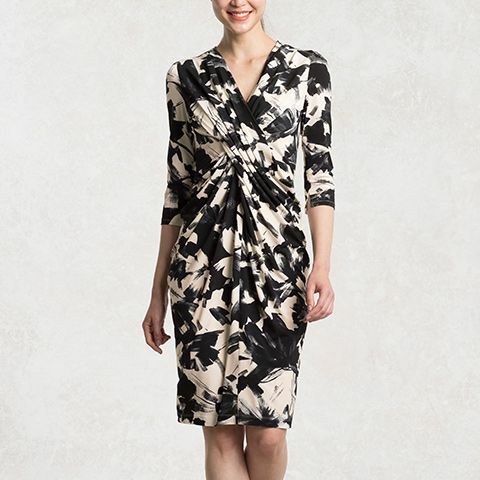 Made from a single piece of painstakingly draped fabric, our Venus Drape dresses create an effortless hourglass. Hand-placed tucks and drapes flatter your natural figure.